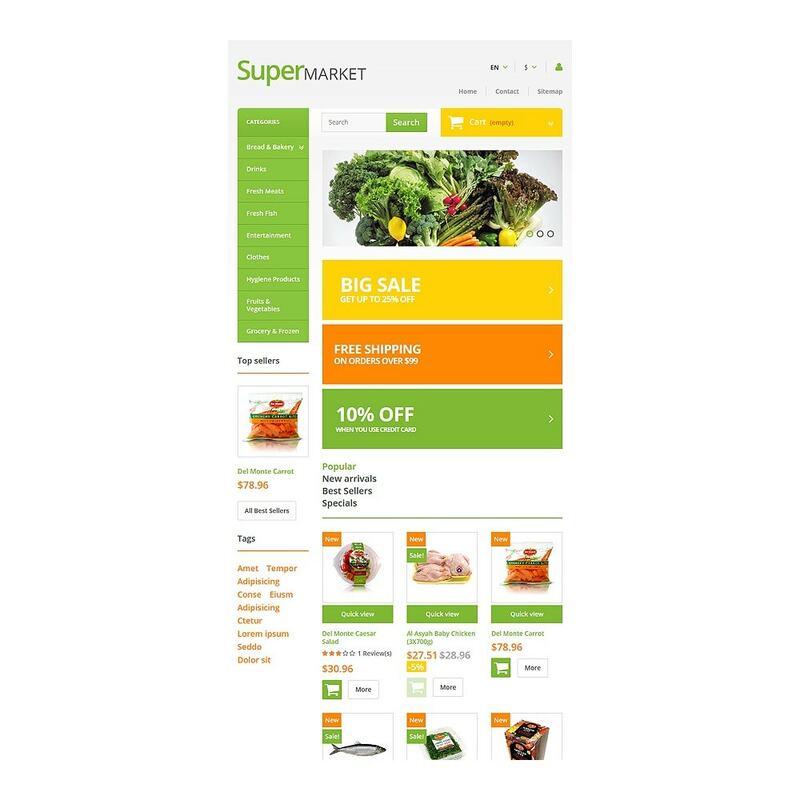 Under the hood of this simple PrestaShop theme there is an ocean of innovative eCommerce-oriented functions aimed at bringing your online store to success. 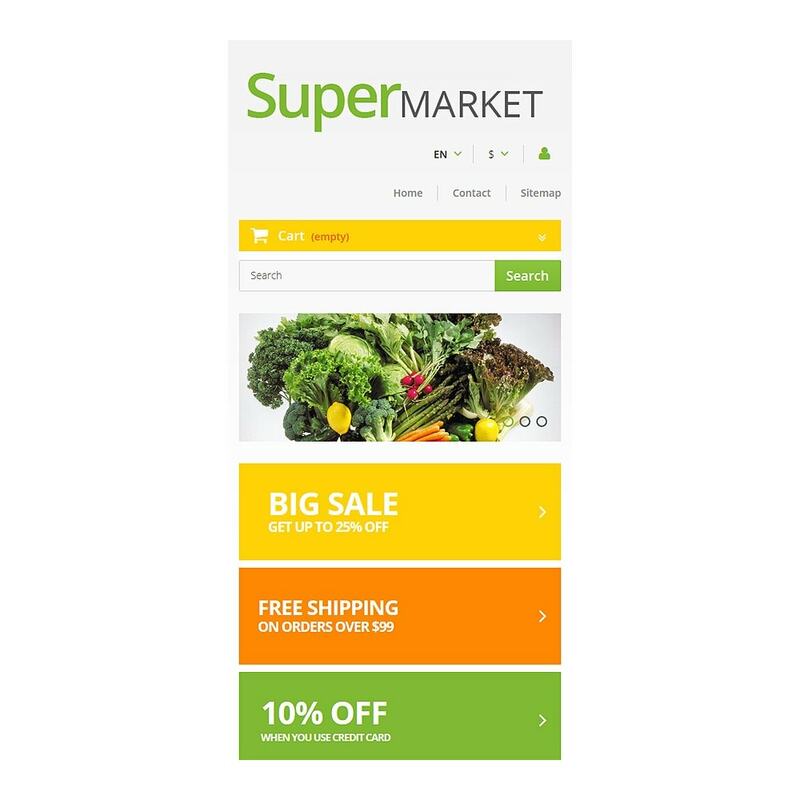 Designed primarily for food stores, it features bright nature-inspired colors, being also suitable for selling healthy organic food, bio additives, and herbal medicines. 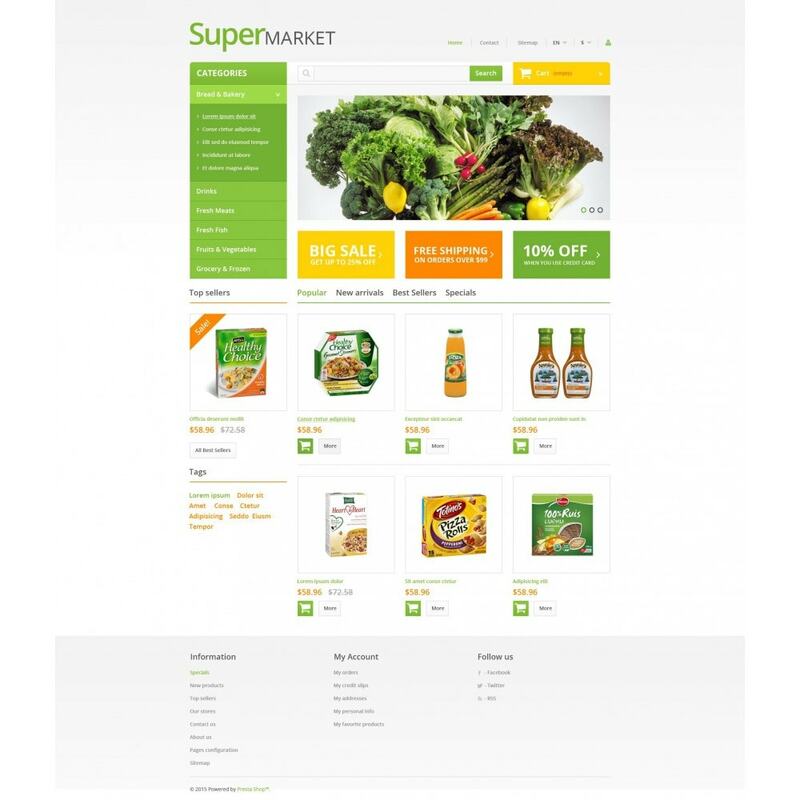 Its classic boxed layout with a sidebar accordion menu provides convenient navigation, and contributes to your store's usability. 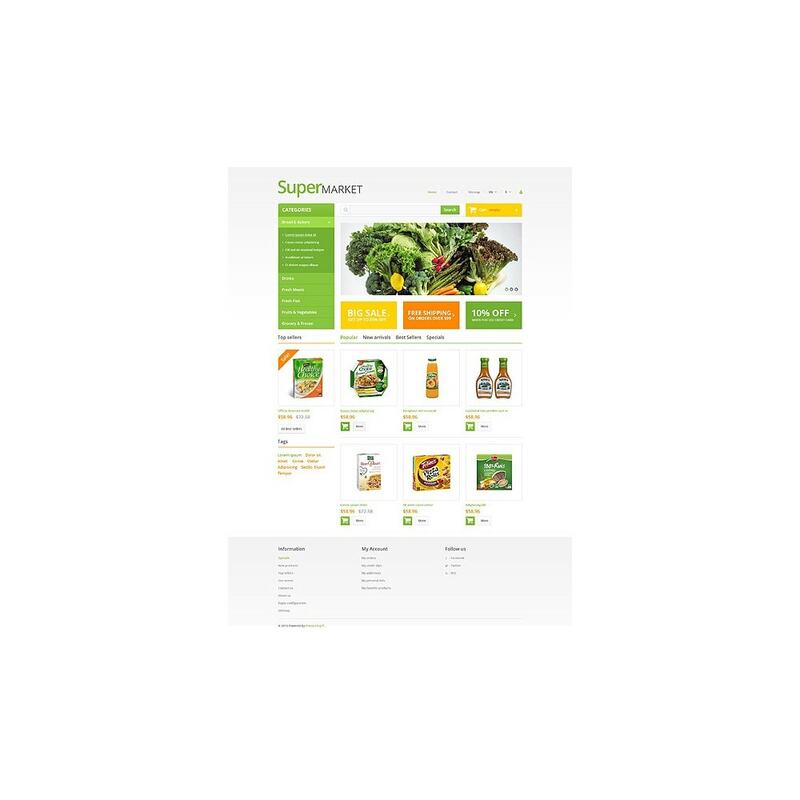 The product page is enhanced with a Cloud Zoom effect, image sliders, custom social media buttons and trust badges. 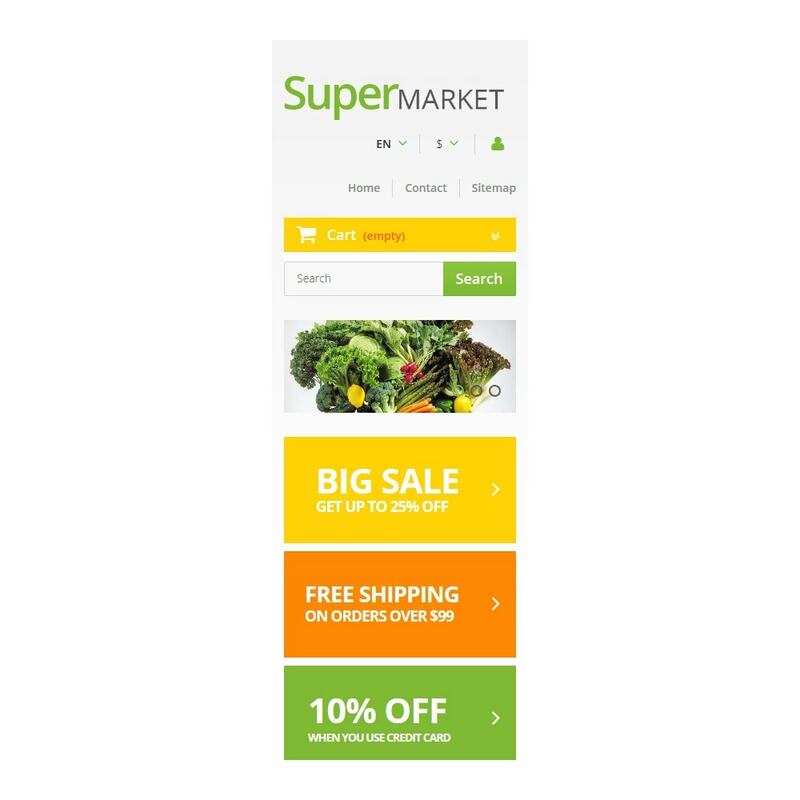 With the help of tabs you can display here as much information about the goods you sell, as you see fit - without harming the user experience. 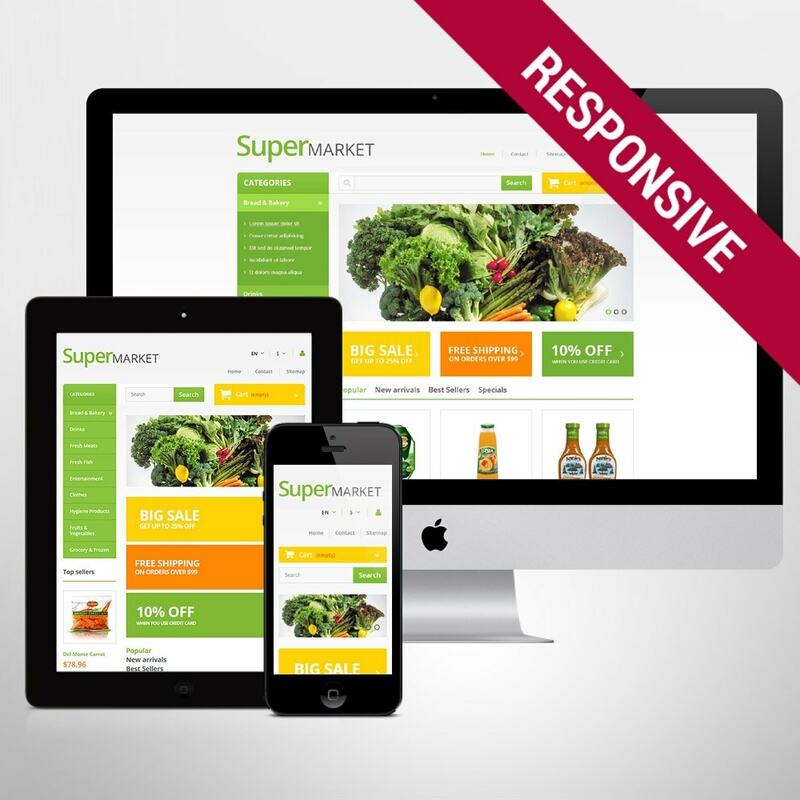 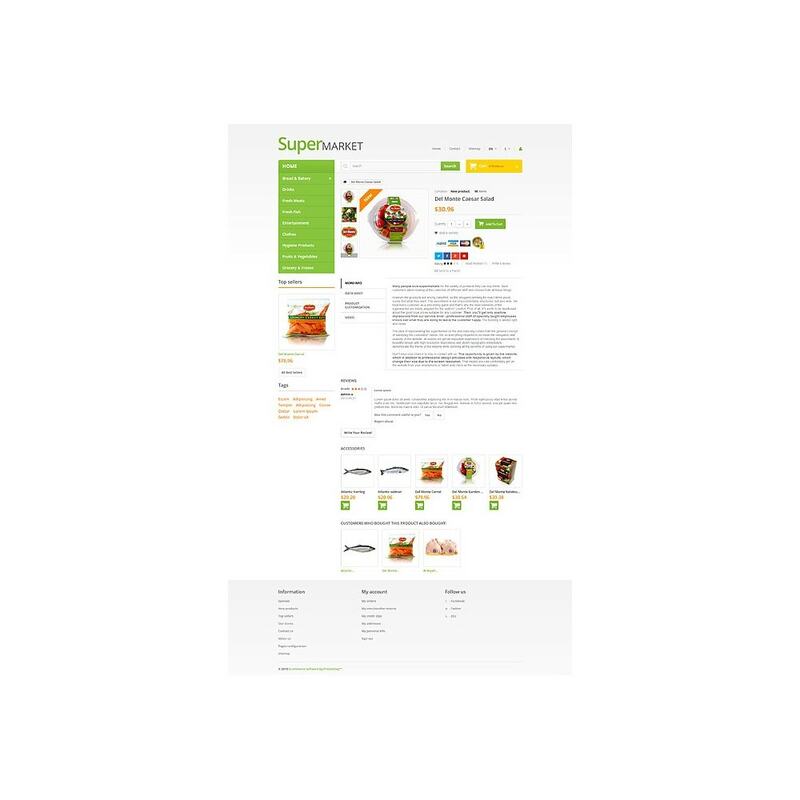 This responsive PrestaShop theme will be great for Food & Drink, Medical, Beauty, Cafe and Restaurant online stores.